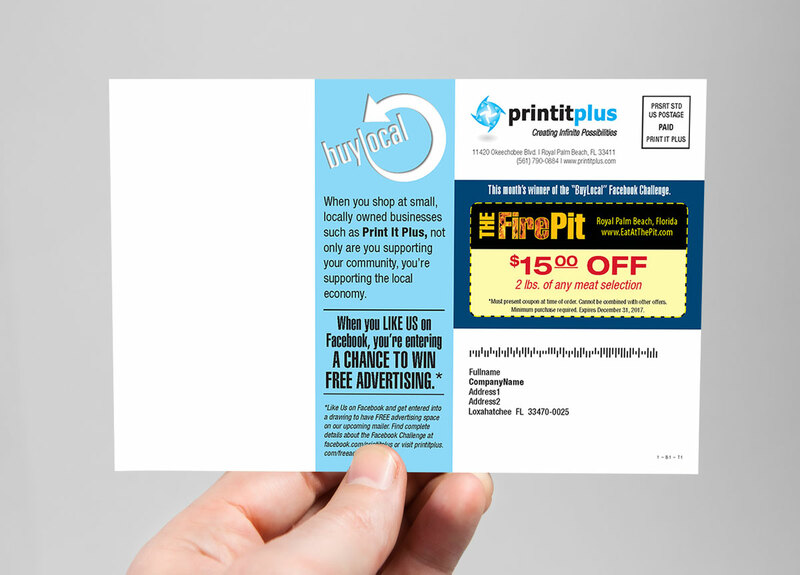 At Print It Plus we believe in supporting the businesses in the communities in which we work and live. Many of our clients are the same people that reside in Royal Palm Beach, West Palm Beach, Wellington, Lake Worth, Palm Beach, Loxahatchee, Palm Beach Gardens, Riviera Beach, Boynton Beach, Delray Beach, Jupiter and Boca Raton, Florida. This is another way for us to help promote local businesses like ourselves that offer great products and services with personalized customer service and treat you like a valued client, and not just another number walking through the door. Our monthly mailers go out to thousands of local potential customers, so your exposure to potential future business will be substantial, indeed; All at potentially no out-of-pocket cost to you!